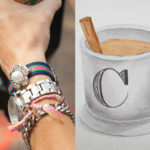 Jewelry is one of my favorite ways to personalize any outfit. 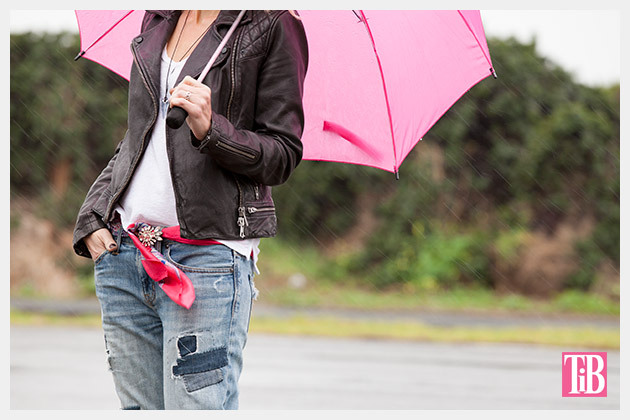 It adds a finishing touch that can take a simple t-shirt and jeans and make it look like a polished outfit. Add a statement necklace to a LBD and you’re ready for a black tie event. I’ve partnered with HP x360 #BendTheRules +Meghan Trainor “That Bass Tour” to share 4 Ways to Wear a Brooch inspired by the 4 modes of the HP x360. 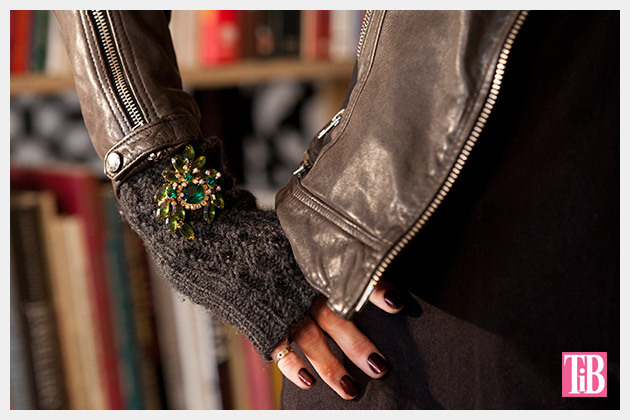 A brooch is one of the most versatile pieces of jewelry you can wear. And the best part is that you only need to have 1 brooch because you can use it in so many ways, it will look different every time! Let’s get ready to rock it! 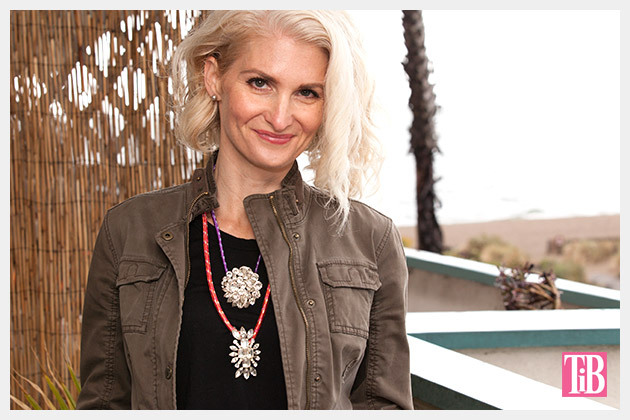 Inspired by the 4 modes of the HP x360, here are my 4 Ways to Wear a Brooch. 1. 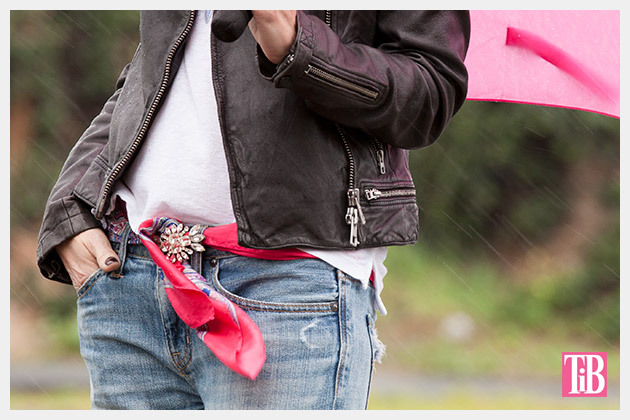 Wear a brooch as a belt buckle. 2. 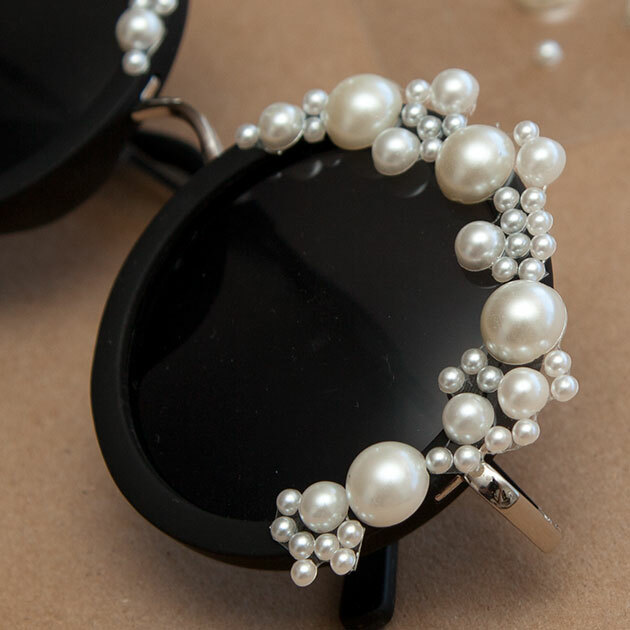 Use a brooch to make a fabulous statement necklace. You can see the DIY here to make your own. 3. 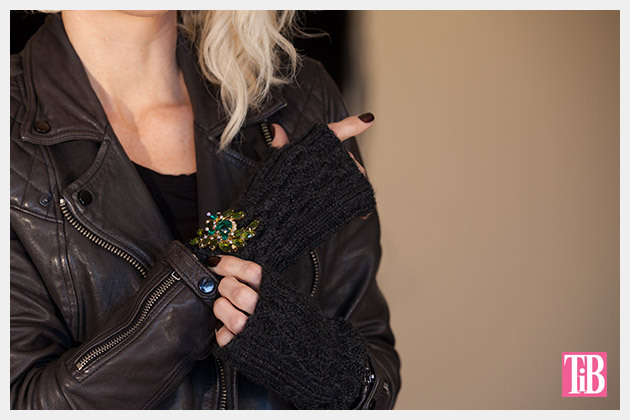 Add a brooch as decoration on gloves. 4. 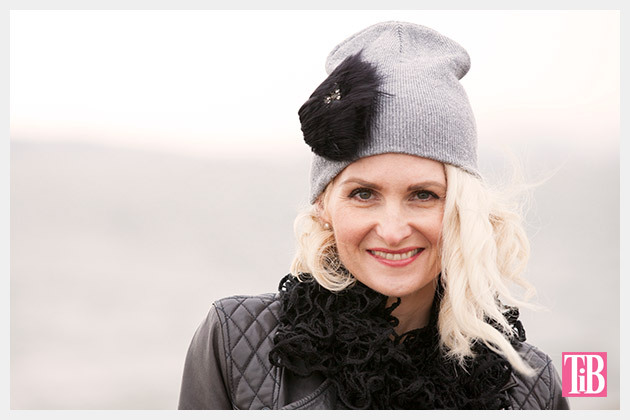 Spice up a beanie with a brooch. To make your own click here for the DIY. 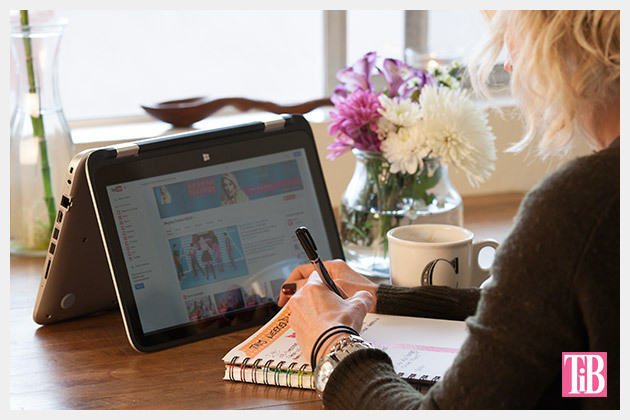 Just like changing up your wardrobe with a brooch to fit your mood, your needs or just for fun, the HP x360 has 4 modes; laptop, tent, entertainment/stand, tablet. I find myself using it mostly in laptop mode because I’m always working on blog stuff, but I love the fact that it has the touch screen and I find myself often using the touch screen more than the trackpad or keyboard. The tent mode is also super cool. I love that I can be writing or working on a DIY and watch a video or have images open that I need. I can see them so easily when it’s in tent mode. I love the fact that it can just adapt to your needs. Just in general that fact that it’s so versatile is just really amazing and super handy! 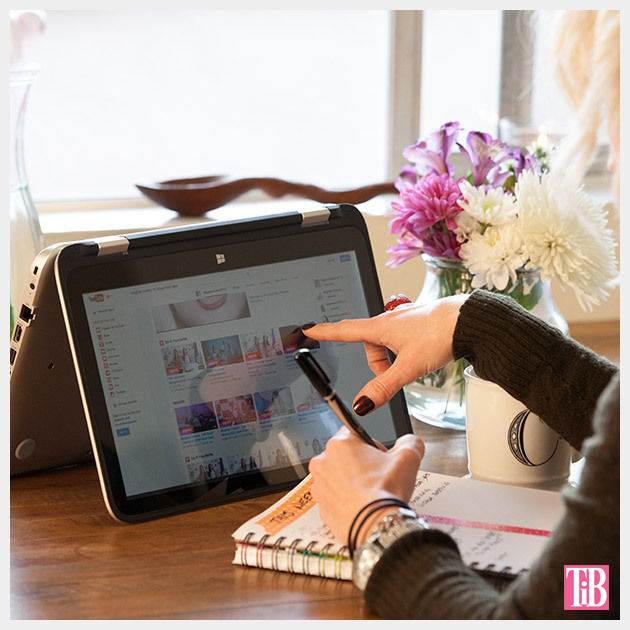 See all 4 modes here and get more info on the HP x360 + Meghan Trainor’s “That Bass Tour”. You’ll also be able to see the episodes of a fan generated documentary using the HP x360 Convertible PC. 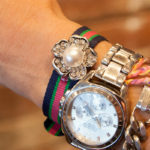 How do you mix up your jewelry to personalize your style? Do you have any tips you’d like to share? 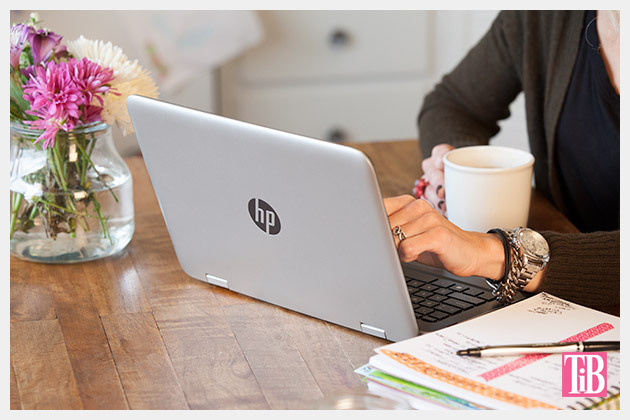 This post was created in partnership with HP. Be sure to follow along on Meghan Trainor’s “That Bass Tour” and be sure to check out the behind the scenes footage and follow @HP for updates.